Andrew Hand and Echodrive create an immersive, energetic performance that makes your event the highlight of everyone's day. 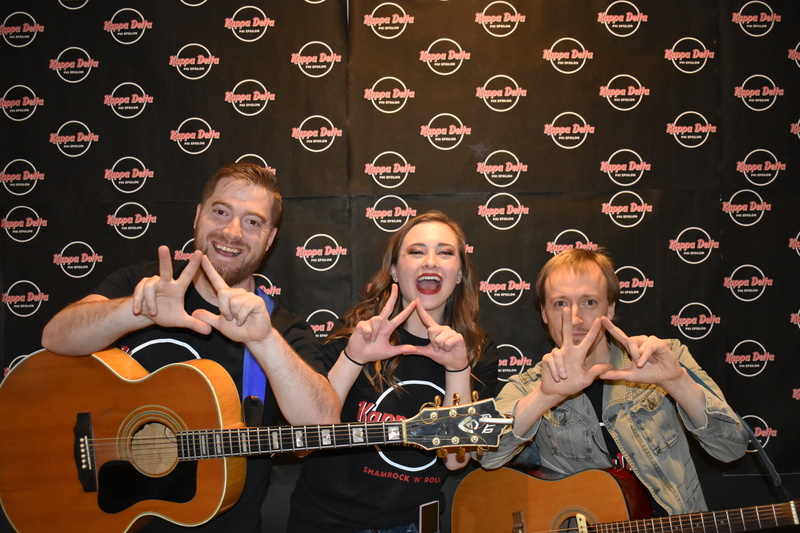 With rock solid grooves and songs fit for stadiums, we bring you non-stop music that people compare to Imagine Dragons, Linkin' Park, U2, and the Red Hot Chili Peppers. From corporate events to intimate private parties to all out rock shows - this will be what everyone is talking about. From solo acoustic to a full band, we have a package to fit your stage. Request a quote today to start the conversation and let's make your event unforgettable! Our guests loved Echdrive! We loved Echodrive!! Absolutely made our evening wonderful. Andrew is professional, a great communicator and an amazing artist. His vibe created a positive energy that infused our guests. Thanks so much Shawn. It was one of the best shows I've ever had! Loved playing for and connecting with you all!! Cherry on the top ! 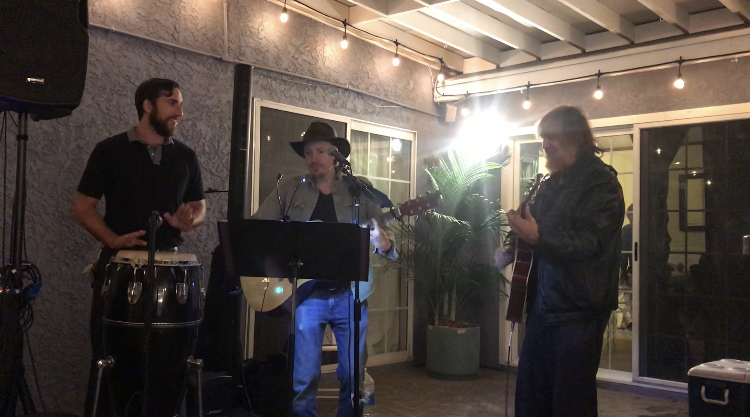 This past weekend my family had the honor in having Andrew perform for my father’s celebration. OH MY GOODNESS, he definitely gave us the most heartfelt, entertaining, and purest performance. He made himself and his music organically fit the environment of the crowd. The most beautiful part of having Andrew was that he was so patient and humble when it came down to teaching my very vibrant family instruments they insisted they new how to play. So, by the end of practicing strings, drums, and vocals.... we definitely had a pretty interesting RANDOM band put together. Honestly, it was the highlight of the celebration. Andrew definitely made us all feel apart of his music. So, thank you a millions Andrew. Here is a small thank you from my Dad..
We will absolutely be hiring Andrew soon . Wow. Thank you so much Cynthia! That's one of the most touching things anyone has ever said...it was an absolute honor to be part of your family's celebration! Sending my thoughts to you all!! Andrew knows how to jam and put on a captivating show. He has a vast portfolio of music that he draws from and his own library is incredible. Planning my event with him was extremely easy. He was most accommodating with our requests. His enthusiasm and talent really helped deliver a performance that was above and beyond. Don’t forget to buy his CD! This was such a fun night. It will probably go down in history as the most memorable gig ever. How can you beat Land Rovers in the desert, at night, with something straight out of a movie?! Thanks again John!! Professional, cooperative and easy to work with during the planning. The music was awesome. Really talented band. Thanks so much, Beth! We had a wonderful time!! Echodrive played at my daughters wedding last night and I could have been happier with the performance! 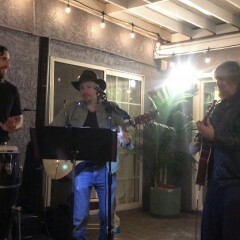 They played during the happy hour and while guests were being seated. It was honestly one of my favorite parts of the wedding!! Thank you so much for being a part of our special day! I would Highly recommend Echodrive!! Thanks so much, Traci! It was a joy to be part of such a special life moment!! What a cool guy to work with! Echodrive was communicative, attentive, personable, accommodating and just plain good. Small gathering for my wife’s bday and Echodrive was on point, sounded great and allowed for pictures and even conversation with guests. I’d recommend him to anyone and we’ll book him again in the near future. 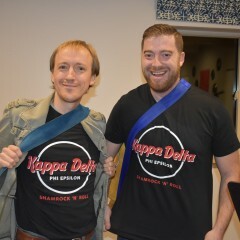 Thank you so much brother! It was such a blast getting to meet you and everyone. Look forward to next time!! Echodrive was a pleasure to work with from front to back. He was very responsive and flexible in the planning stages and took ownership of the gig from the word go. 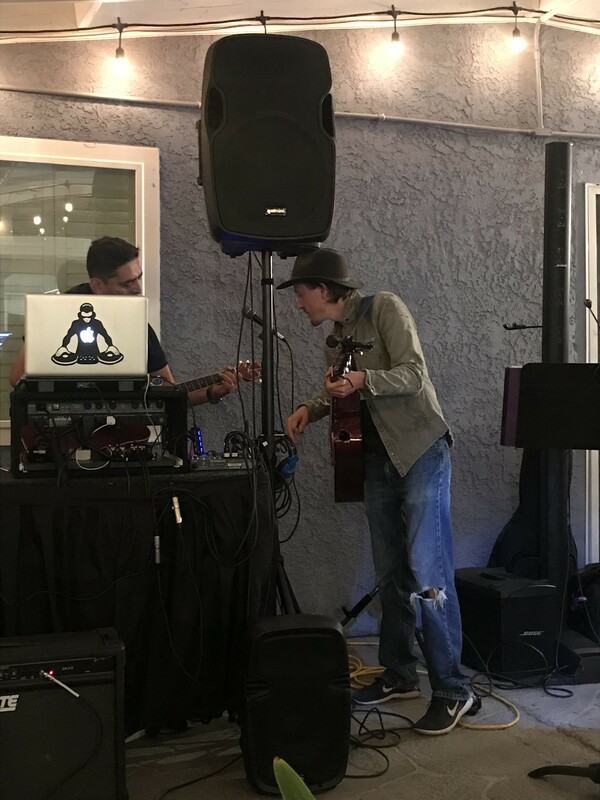 He showed up on time, gave a great deal of consideration to the optimal setup, and was playing great music as the party got started. His song selection was dead on- good variety, something for everyone, and good ambiance to accommodate conversations and those who were focused on the music. Echodrive is very talented musically, great voice and guitar skills. After his set he greeted the birthday boy and girl and signed the birthday banner. Very nice guy, an absolute pleasure to work with, and hope to book him again. Received many compliments from our guests. Thanks for an awesome experience. Thank you so much Anthony! It was such an honor to be part of the celebration and appreciate how friendly and inviting you all were. Andrew played for 3 hours during our corporate cocktail reception and was a great addition to your outdoor party. Good for all audiences, very friendly, and great music! Thank so much Ally...it was a pleasure playing for you all! Look forward to doing it again!! Absolutely a blast and honor to be part of the celebration! Thanks Tony!! From the get-go, communication was extremely timely and pleasant. It was always a very open channel. When show day arrived, they got to the site with ample time to set up and do all their checks so everything started smoothly at our requested time. Unfortuately, I was stationed away from the group so I couldn’t hear a whole lot, but whenever I would pop in the tent I was extremely happy - very talented group, and all event attendees had nothing but positive feedback. Thanks, guys! Thanks so much Emily! We had a blast. Really appreciate all your support and efforts in making it a great show!! Thanks so much Donna! It was a real pleasure to play for you and thank you for welcoming me into your home and your hospitality!! Andrew is absolutely the best! Andrew performed at our Christmas party last night and he truly made the evening magical! He is so talented! Everyone (over 100 people) enjoyed every minute of his music. His voice is beautiful, he became part of our family and friends instantly and everyone told us that they wanted his information so they could book him for their next party! You cannot go wrong with him! He is a true gentlemen and professional. We cannot wait to host our next party just so we can book him again! Thank you for everything Andrew! You were amazing!!! Thank you! It was an absolute pleasure and I deeply appreciate the welcoming and enthusiastic spirit you all provided me. It made for a very special evening! I hired the band for 3 hours for my company's Christmas party and everyone loved their music. Andrew is a tremendous talent and his band was equally entertaining. They were on time, set up without interruption, took very few breaks, played solid for 3 hours. Polite and gracious. I would definitely book them again! Michael...thank you so much! 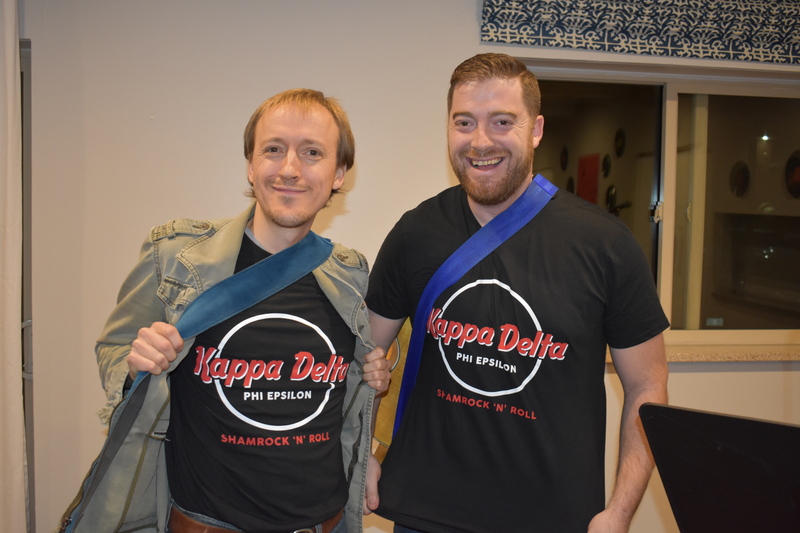 We had an absolute blast playing for you, talking, and getting to know you all a bit. Thanks for the food too...it was delicious!! We hired Echodrive as entertainment for our company holiday party and he was amazing! It can sometimes be hard to know if you are making the right choice when using a site like this, but I can guarantee you that you will not be disappointed when you hire Andrew! He is an amazing performer and was even great at engaging the crowd. Towards the end of the night some of my colleagues even joined him in song! He is a great entertainer and you will not be dissatisfied! Thanks so much! It was a blast playing for you guys and loved the late night jamming!! Great Show! Charismatic and Entertaining! Andrew came to perform at our annual Christmas celebration! I booked him about a month out he was enthusiastic and willing to learn some new Christmas songs that he hadn’t played before, he did that and more! Great performance and very charismatic both on and off stage! He played for us for 2 hours and had the same energy from start to finish. Definitely will be calling him back for more!! You won’t be disappointed!! Thanks so much Manuel! I had such a good time meeting you all and playing for you. Look forward to next time!! Kept the party lively, great mix of music enjoyed by young and old alike. Would recommend to anyone. Thanks so much Brent! Had a great time playing for you all!! Andrew did a fantastic job at our Grand Opening Party. He was early, very professional and an amazing musician. Thanks again! Thanks Ashley! Had a blast and really nice meeting you and your team. Hope the units keep selling!! he was perfect for it - great style - very engaging - then as the crowd got more into the evening (AKA after more drinks!) a few wanted to dance and he kicked it up a notch!! I gave him some extra $$ just for how good he was - but he stayed longer as well. Great Job Andrew!!!! Highly recommended. Excellent. Very happy with Echodrive. We would recommend him to anyone. Thanks so much Bob. It was an absolute pleasure to help celebrate your life and I really enjoyed our conversation and those with your friends. Hope this new year is one of the best and look forward to seeing you again sometime! He was perfect for our new office grand opening! Need a performer for same day as schedule band had an accident, called many other ones with no luck, talked to echodrive and he helped us with our event. Everyone enjoyed his performance and complemented us on our event, thanks to echodrive who save the day. Awesome guy to work with, definitely will bring them back again. Glad I could be a part of it Baldo! It was a lot of fun...thank you!! This was a very emotional time in our life with the celebration of our mom's life. 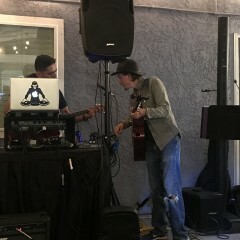 Andrew played easy listening feel good music, we really enjoyed his performance and will use him again for other events. Danny, it was really nice to meet you and be a part of celebrating your mom. Thank you for allowing me to be a part of it and I continue to send my thoughts in this tough time. Andrew was amazing! Music was wonderful and he was so nice and accommodating. Would definitely have him for another event. Thanks so much Shannon! It was a true joy to meet and play for you, your family, and your friends. Really glad I could help celebrate!! We had a blast...thank you! Fantastic band - great time! Andrew and his band were awesome! They tailored the songs to the crowd and their sound was great! Everyone was having so much fun, we had them stay and play an exrtra hour. Everyone was asking where we found them. Would definately recommend! Thank you so much Kate. It was such a privelage to be a part of the celebration and play for you all! Happy Mother's Day!! Andrew was great to work with. We even hired him for an additional night after his first performance because he was that good. I would highly recommend Echodrive for any type of event!!!! Thank you for having me...it was great to meet you and your colleagues and I hope we do it again sometime! Flexible, accommodating, and fantastic to work with! 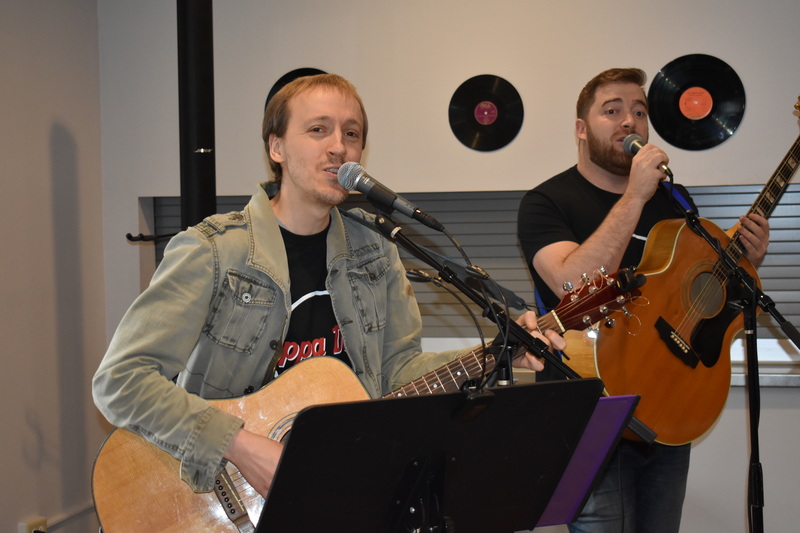 Echodrive performed at a well-attended college philanthropy event as an acoustic rock duo, and they were incredible! Good communicators, punctual the day of, and fun to work with from start to finish. They were also flexible when I asked them to play for longer than I originally requested (the music was just too good, I had to)! Echodrive played a variety of original songs and rock covers, and I was extremely impressed by their ability to make each cover their own in a very artistic, authentic way. I am grateful to have had the chance to work with them, and would definitely have them back in the future! Thank you so much Mallory! We had an awesome time and hope to do it again!! Andrew took very few breaks and was very accommodating to the crowd. We had a great time. Thanks Charlene. It was a really fun evening! Echo Drive is a uniquely talented and effective band. Not only is each member a skilled and prolific musician in his own right, the music they create as a whole has a powerful message. Led by Andrew Hand, this sincere group of young men share heartfelt messages of love lost, love found, and a hope for a better world. Andrew is a prolific songwriter as well as a no nonsense professional. He holds himself and his band to strict standards of proficiency and professionalism that combine to create a powerful and effective sound, uniquely their own. What emerges is a combination of kindness and musicality rarely witnessed. Expect big things to come of this band. Thank you so much! We had such a great time playing and really appreciate your inspired work and continued support of the arts. Soundcolor was a really special start for us! Echodrive has a fresh, exciting sound that got me on my feet. Both as a full band, and when it's just Andrew I've always been thrilled with the quality of the music, Andrew's fantastic voice, and the passion and energy behind the sound. Definitely recommend these guys! Great band with very cool vibe. Was introduced to EchoDrive a few years ago. Very chill vibe and passionate musicians. I always look forward to new music from them. I been following Andrew Hand's music since 2006 and it's amazing witnessing the evolution of his sound. Echodrive combines Andrew's lyrical and music writing talents with excellent musicians, resulting in authentic and catchy songs. You can tell these guys put their hearts and souls into each song, which is extremely refreshing these days. I highly recommend Echodrive at your next gig. 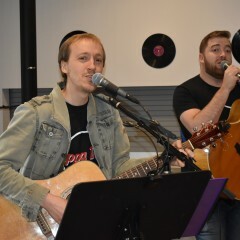 Echodrive and lead singer/songwriter Andrew Hand bring a fun fresh vibe to events of all sizes. From farmers markets to large stages and audiences like Moods of the Madison these guys can read a crowd and always deliver a good time. I seek out Echodrive whenever I can, I've never been disappointed and you won't be either. Book them for your next event! A few months back the Echodrive boys were at my place, Peak Recording, doing basic tracks for what turned out to be their debut release. Aside from them all being great guys to work with and very capable musicians, the songs, all originals, were very good, too! If you don't mind songs that have something to say, might actually cause you to think, and that can still rock or hold down a groove, then you need to check out Echodrive. I am greatfull to have had Andrew Hand's talent at my wedding and 20th anniversary celebration. Great sound and lerics, professionally performed with smooth flexibility. Outstanding overall! !! Thank you Terry! It was a real pleasure to play for you and be a part of such a special occasion!! These guys are a repository of positive energy with a groovy accessible pop sensibility and a hard heart of rock deep inside. Faint traces of Jack Johnson or Tallest Man On Earth, swirled through the guts of Pumpkins Smashing in Stone Temples. Fun, driven, driving tunes performed with passion and sincerity. This young, talented band is on a mission. Ambitious and professional, they produce meaningful material that fits any mood. Their music comes from their heart and soul and leaves you tapping your foot to the tunes. You can sense their passion for playing together and creating a positive experience for their audience. Together, they blend their talents into a worthwhile performance for all. Thanks so much Hannah! It was such a pleasure playing for your event. I hope the travels are going great! You can expect your event to be filled with energy and good vibes. On the booking front, expect very quick and responsive communication. Our aim is for you to have the best event you've ever put on and have your audience talking about it for months and years to come. If there's anything else you'd like to know about specifically, please get in touch and ask! Formed in the summer of 2015, Echodrive was built as a band to replicate the energy of frontman Andrew Hand’s recorded catalog. 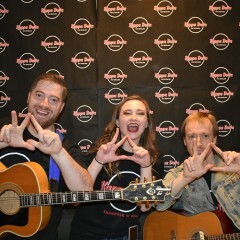 Having shared stages with internationally recognized acts such as Nikki Lane, Bass Nectar, The Wailers, Robert Randolph and the Family Band and playing for over 10,000 people across the US, Echodrive continues to reach new fans through engaging shows that leave an impact long after the last chord has rung out. Andrew & Echodrive travel nation-wide. Hotel and flight will be covered by you or can be added into the quote. If flying in the whole band to join the keynote concert experience, we request about a 12x8 space (seems to work best), 3 mic boom stands, 2-3 floor monitors, and we recommend ample lighting so the keynote is best enjoyed by your audience. Modern Pop (ala Imagine Dragons), some U2, Coldplay, Smashing Pumpkins influences, and British Invasion type rock. We have a deep love of The Beatles and Doors, but enjoy music from many genres.